Flourishing colours and smiles are plentiful in Japan today, as it marks the coming of age day whereby thousands of Japanese young women are now legally adults, which sees crowds of girls donning their kimono and heading out to amusement parks before hitting the clubs and bars to celebrate. 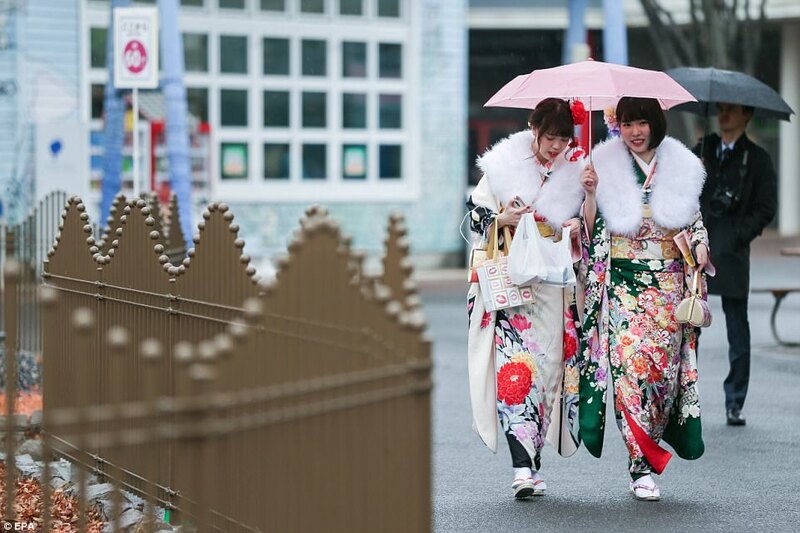 Formal ‘Coming of Age’ ceremonies, which began as a rite of ancient samurai families, were held across Japan for its 20-year-olds, reminding them of their responsibilities after becoming old enough to legally drink and smoke. The men, however, wore clothing closer akin to interview attire as it marks their entry into the world of salarymen, which a wide majority will enter. 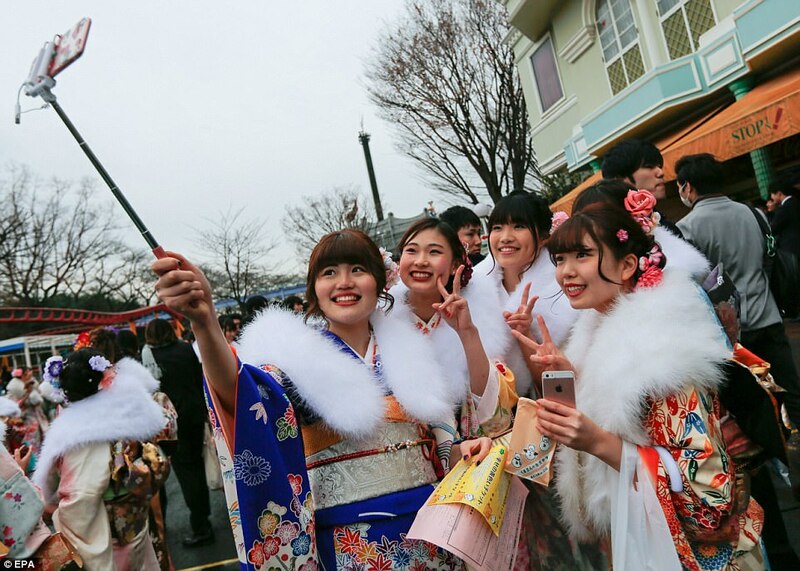 Many of these new legal adults have braced the chilly winds to offer prayers at Tokyo Meiji Shrine, while others converge at Disneyland for a day of fun rides and gathering with friends.